The winner of this year's Sundance Macon Blair answers our dirty questions, and reveals how his unclassifiable and unpronounceable dirty movie ended on your TV set in less than a month! It has been less than a month since the new Austin Indie author Macon Blair received his award at Sundance. 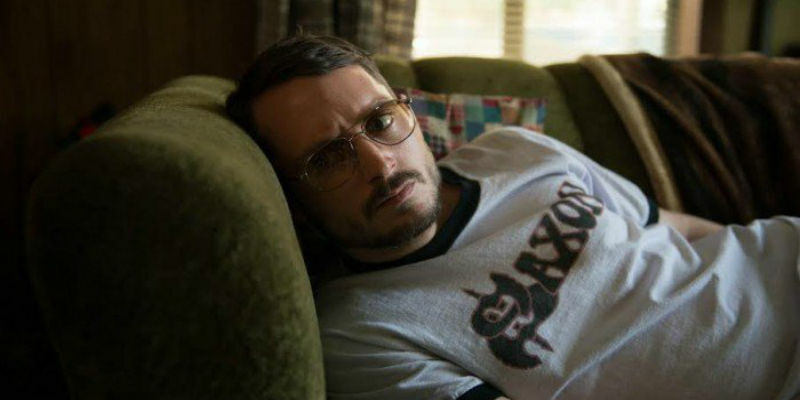 His debut movie I Don’t Feel at Home in This World Anymore won the U.S. Dramatic Competition Grand Jury Prize (click here for our exclusive review of the film). Before that, the young Blair’s face was seen in two films in which he worked as an actor: Blue Ruin (2013) and Green Room (2015), both by his close friend Jeremy Saulnier. Traditionally films that are shown in Park City take a long time to reach a wider audience. Last year Sundance sensation, Manchester By The Sea was released in the UK a year later, and it is still running for big prizes in the international circuit. But people don’t like to wait. So the market search for a solution to this problem, rendering anxious movie-lovers happy and satisfied. Netflix was the first company to nail it. Blair’s feature is out worldwide this Friday at Netflix. The American entertainment company has invested massively in cinema production and has acquired 14 titles of Sundance Festival this year. (You can check the list of films here.) By simultaneously broadcasting to 93 million members in 190 countries, Netflix is changing the way films are distributed. But does it affect the voice of creative and independent filmmakers? DMovies writer Maysa Monção chatted with Macon Blair via Skype about such industry tactics, the creative process, Donald Trumpo, the UK and much more. The director is pictured at the top with a carrot which he grew in his own garden. As far as we are aware, this vegetable has not made it to the movie, and it has no connection whatsoever to the film industry. 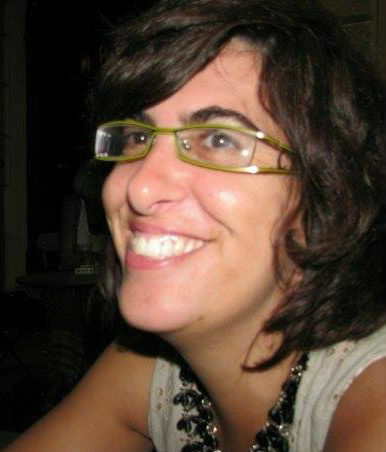 Maysa Monção – You worked as an actor and as a writer. How did you become a filmmaker? Did Jeremy Saulnier inspire you? Macon Blair – Very much so, yeah. He has been my friend for a long time, almost my whole life. I always knew that I’d like to direct something of my own. I didn’t know exactly when. I was always looking at Jeremy, just watching him work and trying to learn everything I could from him, because he is so good. He is so talented and I feel very fortunate to have worked with him. MM – You casted Elijah Wood for your debut. How does a well-known actor contribute to an independent movie? MB – Certainly he has so many fans, because he has been in those larger movies [including Peter Jackson’s The Hobbit in 2012], and this brings attention to the movie. Not that they would like it or not based on what he has done before but it certainly helps. Elijah is attracted to what he likes in movies and he responded to this script. He did me a huge service by agreeing to work in this movie. 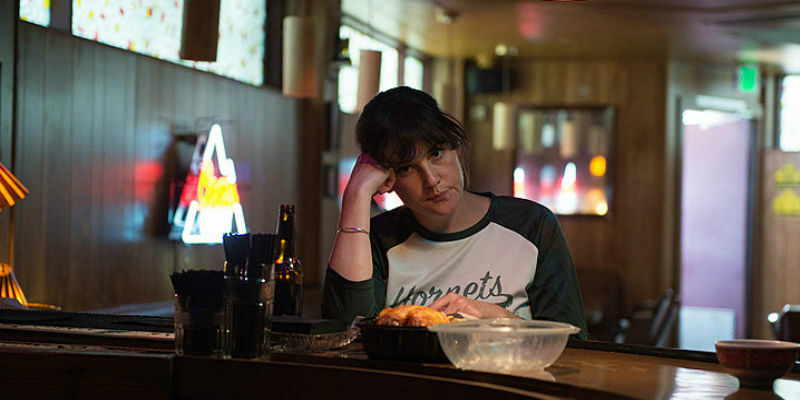 Very early on he joined us as well as Melanie Lynskey [who plays the main female role]. MB – I know. That’s my fault. I picked a bad title. It made a lot of sense to me. We tried to come up with another title but I couldn’t think of another one that I liked as much. The producers originally wanted something different but they changed their mind. By the end they realised that we should go back to the original idea. MM – How was working with Netflix? Did they influence the creative process in any way? MB – No! Netflix is the only reason why this movie got made. Because they were willing to go with the script that I wanted to make. They were very supportive with all the cast that I wanted to work with. And they were willing to finance at the right level. Once they got on board, they would call just to say “hello”. They did not interfere with the creative side of the filmmaking. They were very “hands off”. They also gave us a huge amount of space. MM – But let’s imagine that your film was made for a theatrical release. Would you have done anything different? MM – I will be watching everything you make. MB – Oh thank you. The review you guys did was just amazing; I loved what you guys wrote. But if it had been theatrical, it probably would have opened in a small number of theaters. It wouldn’t be there out for very long, and it wouldn’t be seen by as many people as it will on Netflix. It goes worldwide. It can stay there indefinitely. It can work as a word-of-mouth. That is the best case scenario for this type of movie. 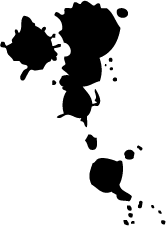 MM – What was the most ludrical thing that happened on the set? MB – [he laughs] I think one of the funniest scenes was when everybody was together yelling at each other [he refers to a moment in which all cast is in a house, and there is some gun shooting]. It was the first time we had all the cast together in one room. But for the rest of us the funniest thing was when Melanie had the vomit apparatus attached to her face. MM – I don’t know if I can tell this! MB – For her it was not funny but we were all laughing at the monitor. I felt a little guilty. MM – Was it only one take? MB – It took a while. There were takes from different angles. It was probably not very pleasant for her. MM – If you could cast Donald Trump for a scene in your movie, what use would you make of him? MB – Oh.. [very disappointed]. I would quit moviemaking. I don’t know. At this point the Skype call mysteriously disconnects. I must have been Donald Trump snooping on DMovies. Eventually Maysa manages to get in touch again and continues the interview. MB – I had some time to think better my answer. I would make a sequel of The Human Centipede (Tom Six, 2010). MM – I don’t get it. Can you explain? MB – Hummm. This guy plans to surgically join his victims by sewing together their mouths and anuses, all in a row. MM – You live in Austin but your film was shot in Portland, Oregon. Would you film in the UK? Your black sense of humour is quite British, with a touch of sarcasm. MB – I would looove to film in the UK. Yeah, probably I would. And now that you mentioned I will try hard. MM – Finally, do you feel your next movie will be easier or do you feel the pressure of a Sundance winner? MB – Oh, I haven’t even thought of that. I believe it helps that people are aware of who you are. I don’t have to convince them as much but I would not say that it is easy. I still have to justify the expense of everything and build the team!